From the Batman Designer Series collection by DC Collectibles. DC Comics Designer Series Traditional Harley Quinn by Amanda Conner Action Figure. From the Batman Designer Series collection by DC Collectibles. 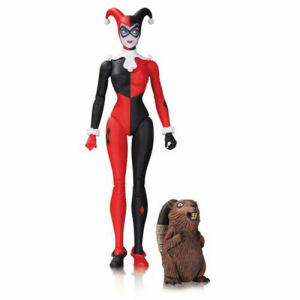 DC Comics Designer Series Traditional Harley Quinn by Amanda Conner Action Figure. This 7 inch tall action figure has multiple points of articulation.